The vase set made of glass by Bloomingville consists of two vases, which complement each other excellently in colour and shape. Cylindrically shaped, the vases have a simple elegance that blends well into any ambience. In the narrow opening single flowers or twigs find a place and can be set so great in scene. But also individually standing for themselves, the vases are a real eye-catcher and a stylish decoration for the windowsill or the table. With their grey and yellowish-golden colour, they adapt perfectly to any furnishing style. Vase set made of glass from Bloomingville in single view. 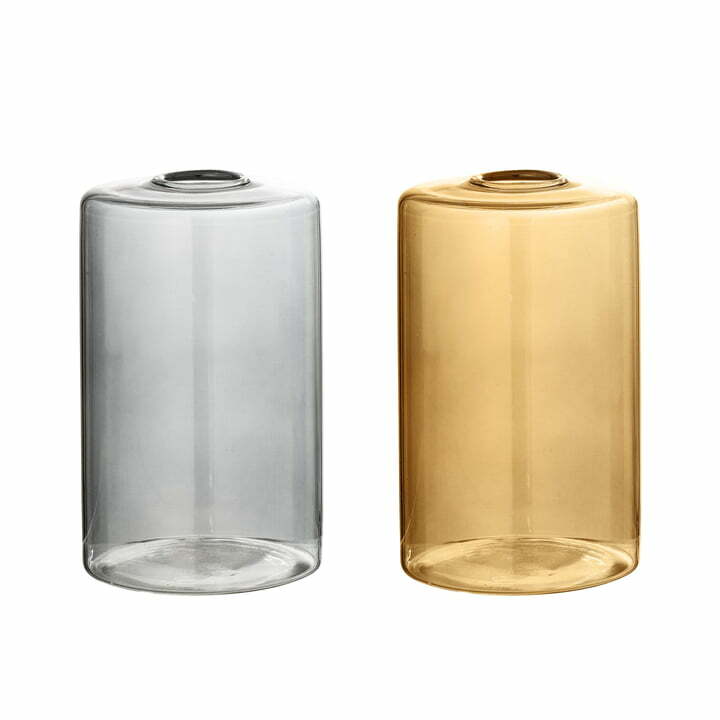 The vase set made of glass by Bloomingville consists of two vases, which complement each other excellently in colour and shape. Cylindrically shaped, the vases have a simple elegance that blends perfectly into any ambience. Vase set made of glass from Bloomingville in single view. 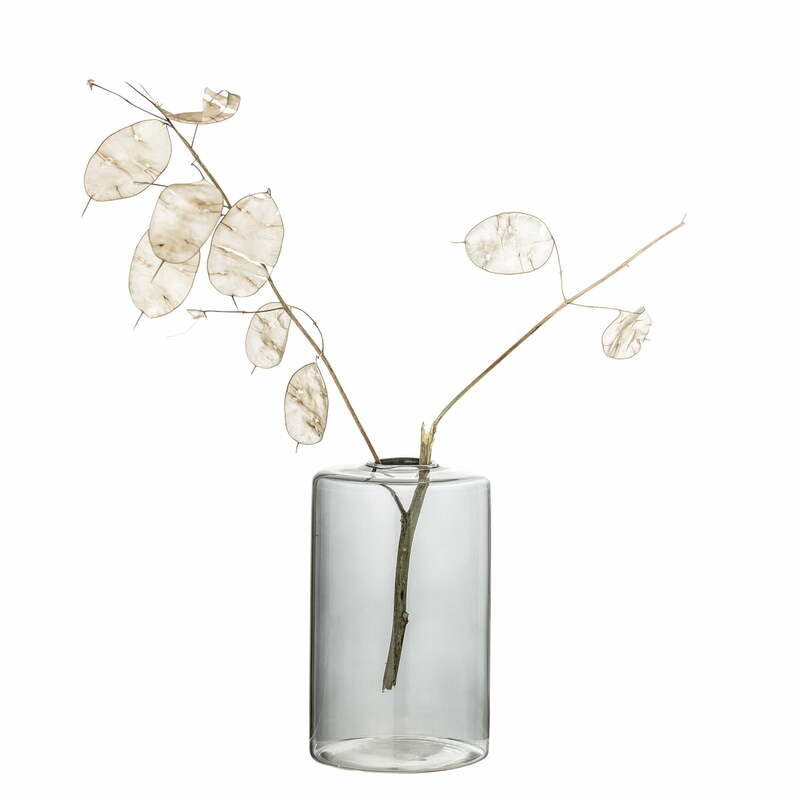 Small bouquets, individual twigs or long-stemmed flowers can be perfectly displayed in the vases.